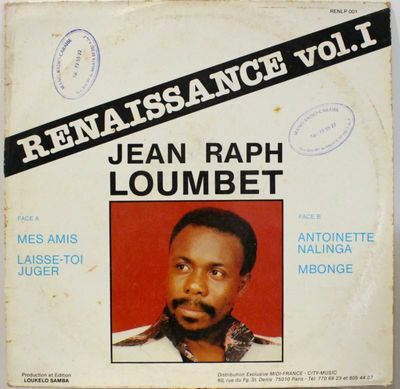 JEAN RAPH LOUMBET MES AMIS TROPICAL DANCE FLOOR CLEAN LISTEN JEAN RAPH LOUMBET MES AMIS TROPICAL DANCE FLOOR CLEAN LISTEN !!! SHIPPING FROM FRANCE !!! Record : VG+/EX Cover : VG small aging + stamp.